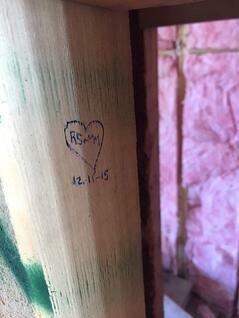 There are many different traditions surrounding home building, but one of the most common is doing something that isn't seen but that you know is there, like writing on the interior studs before the sheetrock is put in place. But there are also some people who choose to do something bolder and more obvious. No matter what kind of traditions you're considering, when you build a custom home you may want to do something meaningful for you and your family to commemorate your new space. With that in mind, here are some of the best and most unique traditions that people have started when building a home. Throughout history, new home construction has been inundated with rituals and traditions based on culture, religion, and even superstition. Ritual objects or artifacts were purposefully left within the structures of homes, starting with the pyramids and later ranging from vast Roman villas to ordinary houses. The secret objects were hidden to bring good luck and fortune to those who lived inside of the home. In Ireland, Celtic families would go as far as burying a part of a horse's skull underneath the home's floor or underneath the fireplace hearth - both to ward off evil spirits and bring good luck to the homeowners. Nowadays, our homeowners typically do not hide any artifacts or skulls within the walls, but they do incorporate their own family's traditions into the construction of a new home. 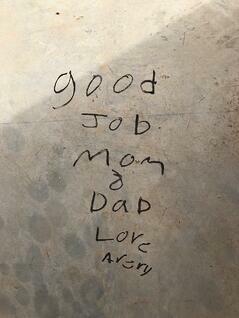 Many families will make a meaningful tradition of writing secret messages on the studs behind the finished walls or on the concrete underneath the finished floor of their custom homes. 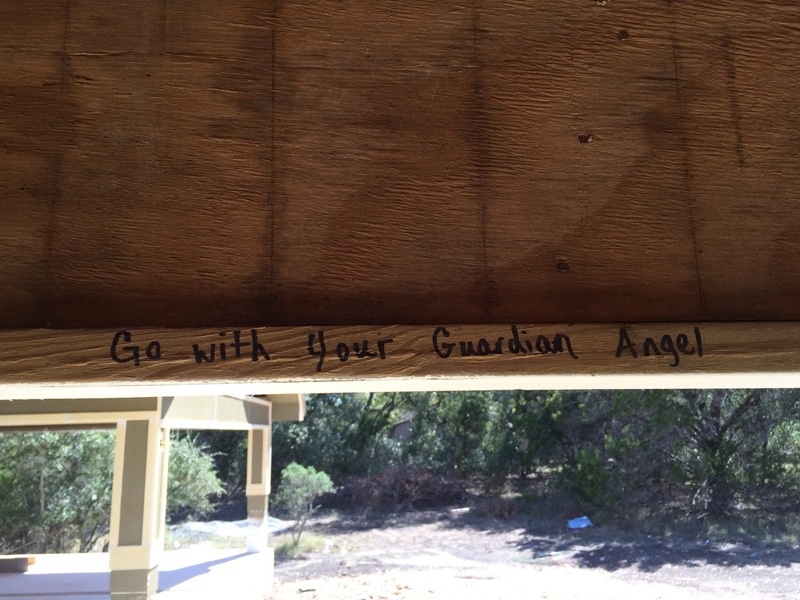 This is done for a couple of reasons: First, it's something that nearly everyone can do, even small children; Second, people can write or draw anything they like because it's going to be covered up when the house is completed. That means everything from a love note to something slightly more off-color is acceptable, as long as it's part of a family tradition and everyone involved gets the opportunity to participate. 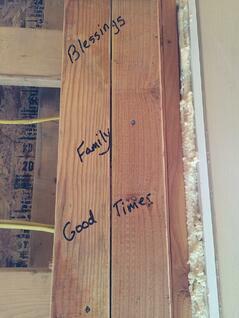 Many of our homeowners incorporate both heartfelt and fun traditions during the construction phase of the buildout. Inviting friends and family over while it is still in the framing stages, homeowners can celebrate with loved ones and a few fresh markers. 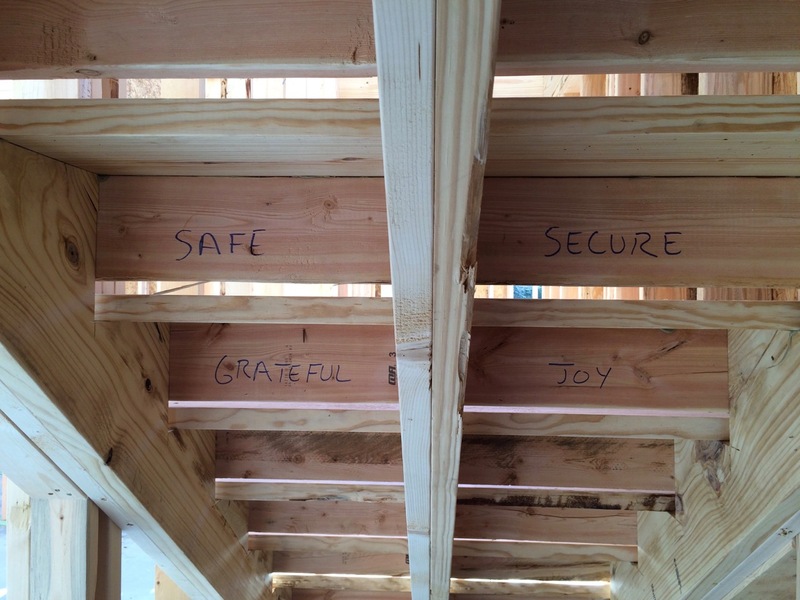 Well wishes that are written by future guests will strike a familiar chord when the home is finished and they are invited back to visit! Another way to begin a good tradition that's going to be hidden but meaningful is to drop one or two coins into the forms of the foundation before it is poured, or directly on top of the slab during the pour. They won't be able to see the coin, but they'll know it's there. They may also keep track of where the coin is located in the home. A corner of a room is a prime spot for this kind of tradition, in case the family wants to mark it in some way once the house is built. 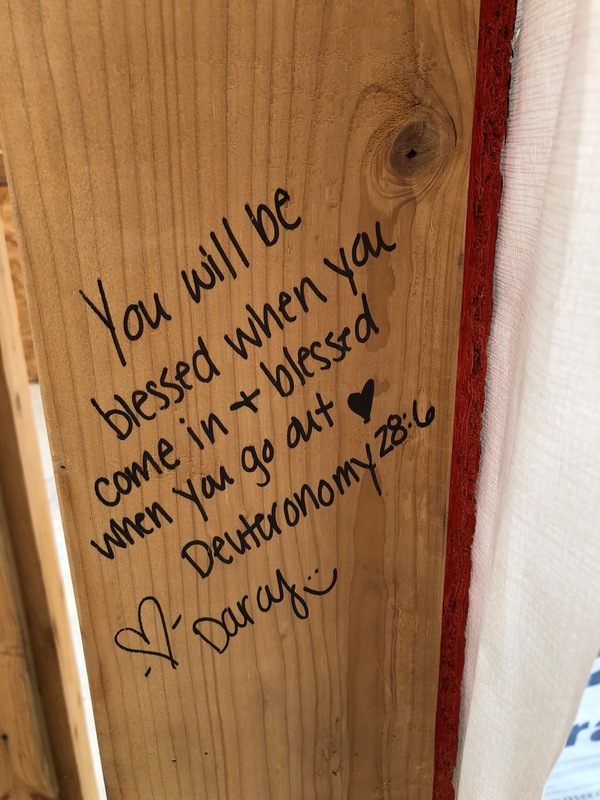 For those who are religious, prayers and bible verses written behind the visible walls of children's rooms and entry ways are often strong family traditions. A few of our homeowners welcome babies into the family and new home upon moving in, and blessings on the walls of a nursery are a common and beautiful tradition. These are important to parents and others who live there, and they can provide strength in difficult times and a sense of peace and comfort in the new house. Over time, they become just another part of the bones and structure of the home, but the true meaning behind them is never forgotten. If you're an avid sports fan, there's nothing wrong with a little Gig 'Em Aggies!, Roll Tide! or Geaux Tigers! or another team motto on the wall behind your television. Whether it's written behind the walls as good luck or somewhere that stands out (or both), a family that plays together - or watches their teams play together - stays together. Once a sports fan, always a sports fan, and rooting for your favorite team can be a great tradition. 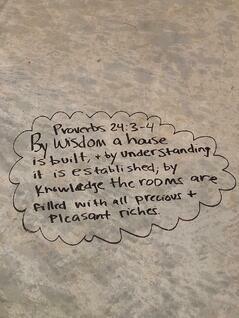 For the fun-loving crowd, there's nothing wrong with writing light-hearted sayings throughout the house. Why not? It's a great way to have a little bit of humor and literally have an "inside joke" between husband and wife inside your family's home. It can also start a tradition of compliments and value that can last a lifetime. Some of our homeowners in the past have celebrated proposals, engagements, and weddings surrounding the building of their future family's home. 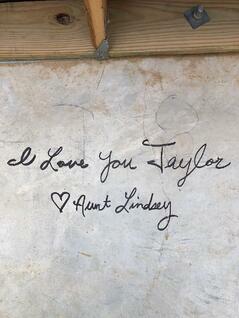 What better way to express your love to your spouse (or fiancee) with a heart and some initials on the wall? 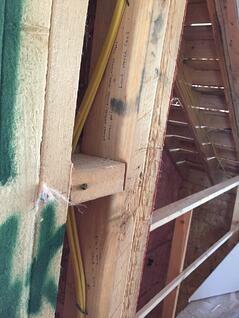 It's like carving initials into a tree, only it's in your house (and easier on the tree). Not only is it romantic, but it's a great conversation piece that can be talked about for a long time to come. When people visit your house, they can also learn about your love story and your family's history. At Kurk Homes we are proud to be #BuiltOnTradition and we have been designing and building from the Gulf Coast through the Hill Country for nearly 30 years. No matter what kind of tradition you want to start for your family, we can build you the home where it can take place.